BEAVER TOWNSHIP – A Veterans Day program begins at 1 p.m. Saturday at the Beaver Township Fire Department, 601 W. South Range Road. SALEM — Orders are being taken for meat loaf and ham loaf from the Salem United Methodist Women. Sunday is the deadline to pre-order by calling the church office at 330-337-9531. Cost is $7 for a 1-pound loaf and $14 for a 2-pound loaf. The loaves will be available for pick-up from 1 to 2 p.m. Nov. 17 at the First United Methodist Church, 244 S.Broadway Ave.; or from 11:30 a.m. to 12:30 p.m. Nov. 18 at the church (use the south portico entrance). Proceeds from the sale will benefit international and local missions. 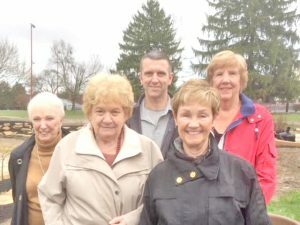 DEERFIELD — The 112th Deerfield Cemetery Association’s bazaar featuring a variety of arts, crafts and baked goods, will be held Saturday at the Deerfield United Methodist Church, 1483 Route 225. Beef and ham dinners will be served from 11:30 a.m. to 1:30 p.m. and 4:30 to 6:30 p.m. and include mashed potatoes, dressing, gravy, green beans, cranberry salads, cole slaw, rolls, desserts and beverage. Cost is $10 and carryouts are available. Deerfield residents are asked to support the event and contribute desserts, baked goods, arts and crafts and assist in the kitchen and dining rooms. Vendors are asked to contact Joyce Adams at 330-654-2344. There is no charge for a table, however, a donation to the association is requested. Deerfield Quilters have donated a handmade quilt that will be raffled off at the end of the evening. Proceeds are used in the care of Deerfield Cemetery, Hartzell Cemetery and Mottown Cemetery. SEBRING — Sebring Local Schools will celebrate Veterans Day with two special presentations on Monday. McKinley High School’s program begins at 8 a.m. in the auditorium. A recognition of veterans, a photo slideshow, and readings will be a part of the program. A breakfast follows. All veterans are welcome to attend, even if a relative does not attend the school district. B.L. Elementary School’s Veterans Day program begins at 10 a.m. Those who attend the program are asked to gather in the cafeteria before heading into the gymnasium. Songs and poems will be presented to the veterans. Veterans in attendance will be recognized during the presentation. YOUNGSTOWN – “How I Learned to Drive,” a Pulitzer Prize-winning play that grapples with difficult issues such as family dysfunction and pedophilia, is presented by Youngstown State University Theater Dept. in Bliss Hall’s Spotlight Theater. Performances begin at 7:30 p.m. today and Nov. 10, 16 and 17 and at 2 p.m. Nov. 11 and 18. All seats are general admission. The play contains adult themes and strong language. Nicolas Wix of Salem, a theater major, is a member of the cast for this production. Directed by YSU adjunct faculty member Pat Foltz, “How I Learned to Drive” is a warm, tragic, funny and strikingly perceptive memory play in which a young woman looks back on her warped experience with love, and struggles to forgive in the face of her past sexual trauma. The play, which also won the Lortel Prize, the Drama Desk, Outer Critics Circle and New York Drama Critics Awards for Best Play, addresses difficult subject matter but does so with compassion, sophistication and gentle humor. Adult admission is $16. Special rate tickets are: $8 for non-YSU students, YSU faculty and staff with valid identification, YSU alumni, senior citizens, Penguin Club members and groups of eight or more. YSU student tickets are free with valid identification. Purchase tickets at 330-941-3105 or ysu.tix.com. LEETONIA — The Leetonia Beautification Committee is seeking a donation of a pine tree between 14 and 20 feet tall to use for the light up ceremony on Nov. 24 and throughout the Christmas season. Anyone interested in donating a tree is asked to call Heather Rae Kelm at 330-727-7006.